Athol graduated with a Bachelor of Arts in secondary teaching and married Zoe Corker in 1970. His first teaching appointment was to the Avondale high school, marking the beginning of a 40-year ministry in Seventh-day Adventist education. His career took the family across the country and to posts overseas. Sons Derryn and Lyndon were born in Murwillumbah before the move to Western Australia, were Athol served as principal in Busselton, then teacher at the Victoria Park high school in Perth. In 1979, he began a seven-year stint of mission service as principal of Papaaroa College on Rarotonga, where sons Joel and Timothy were born. Here his practical skills were in high demand and saw him building new classrooms, a library, a manual arts block, house and primary school on the island of Atiu. On his return to Western Australia, Athol served as principal for the next 10 years, first at Albany, then Karalundi. He designed the new Karalundi church and was involved in a number of mission projects: a church and house at Finke and Tennant Creek; a church in the Solomon Islands; schools in Zambia and Botswana; orphanages in Bali and Sulawesi; and a clinic in Ethiopia. It’s this practical ministry, working with his hands, for which Athol is known. 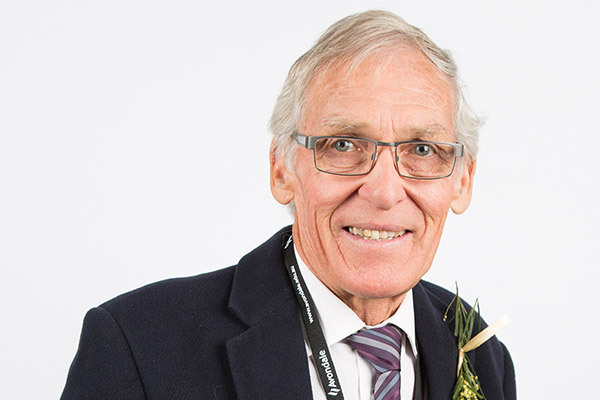 The Class of 1967 honours Athol Grosse for a life of dedicated service to Adventist education and to practical ministry. Pr Raymond Coombe is an Avondale College graduate of 1967 and a former Director of Communication for the Seventh-day Adventist Church in the South Pacific.